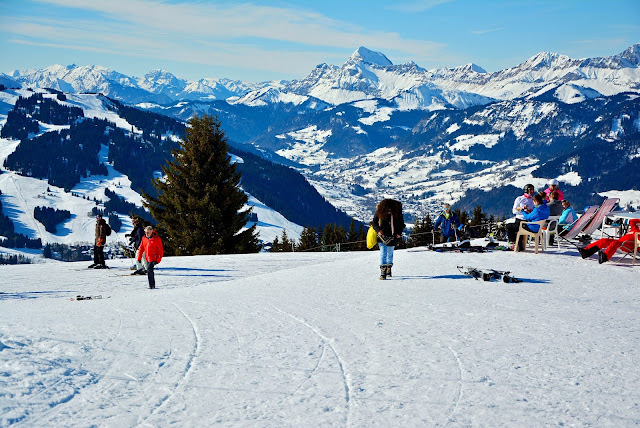 'Europe's Highest Point' on Google search may yield wierd questions like "Is Jungfrau the highest mountain in Europe?". Well, as a little reminder of our high school geography classes, the highest peak in Europe (west of the Caucasus Mountains) is Mont Blanc soaring to 4810m and it lies in the French Alps. Having returned from my ski vacation in the French Alps, I thought of writing up this post in tribute to that majestic peak. 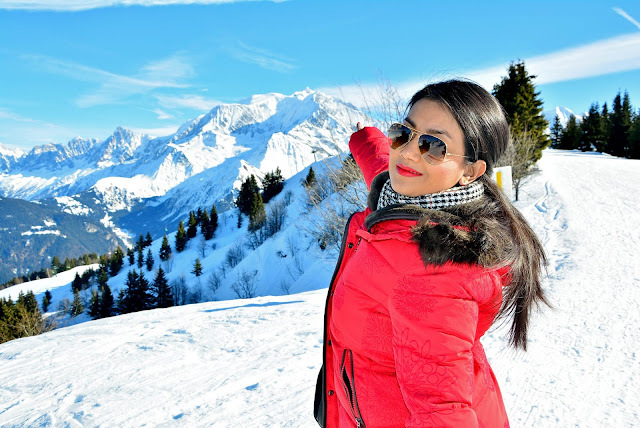 Here I will list out some locations and towns from where you may enjoy some of the best views of the Mont Blanc range. 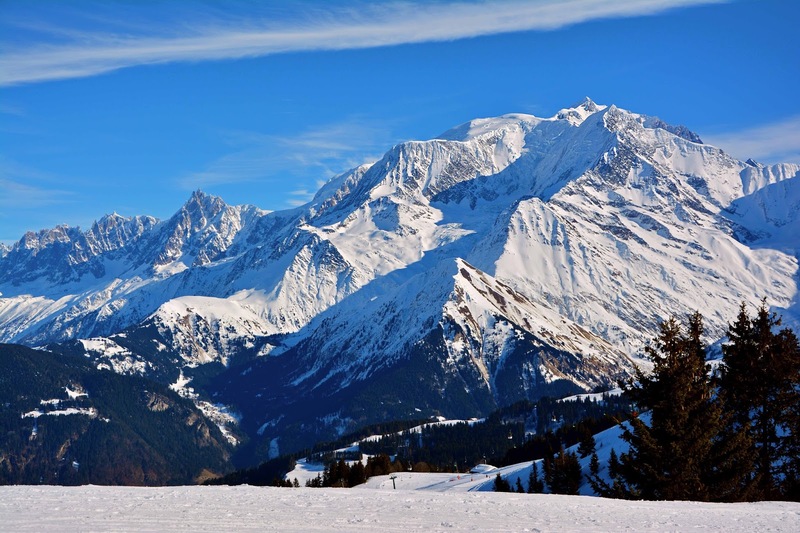 Mont Blanc in French means "White Mountain" and this is justified by the fact that it is one of the few peaks of the Alps which stays snow capped through out the year. 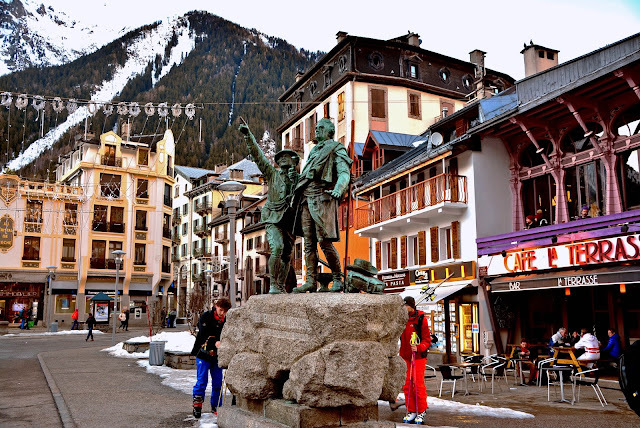 The first town I must mention with respect to Mont Blanc is Saint Gervais les Bains. 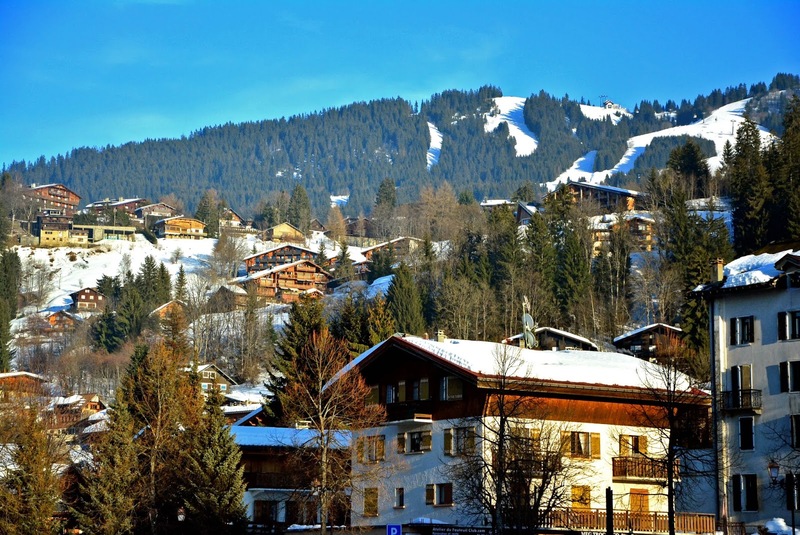 Mont Blanc is a piece of land, so it must belong to the jurisdiction of some town, and that town happens to be Saint Gervais. 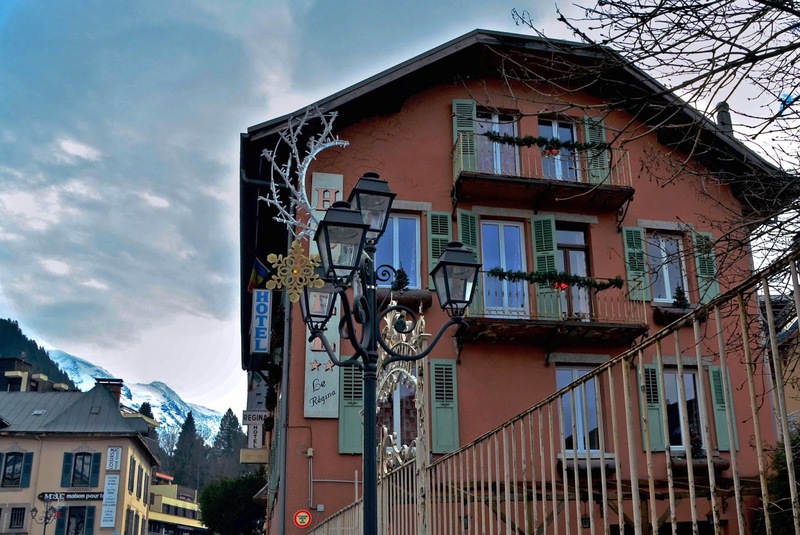 Though officially Mont Blanc is part of the town, you do not have a clear view of the highest peak from the town center and you that you can see is a part of the Mont Blanc range. A little walk (of about 1.5 km) from the town center can get you a bit clearer view of the range and the peak Aiguille de Bionnassay (4052m) is visible which is only 4km west of the Mont Blanc peak. However the best view of the entire Mont Blanc range and its highest peak is from Saint Gervais, I will come to that later. The nearest train station from the town is Saint Gervais Le Fayet which is 10 minutes by bus from the town center. 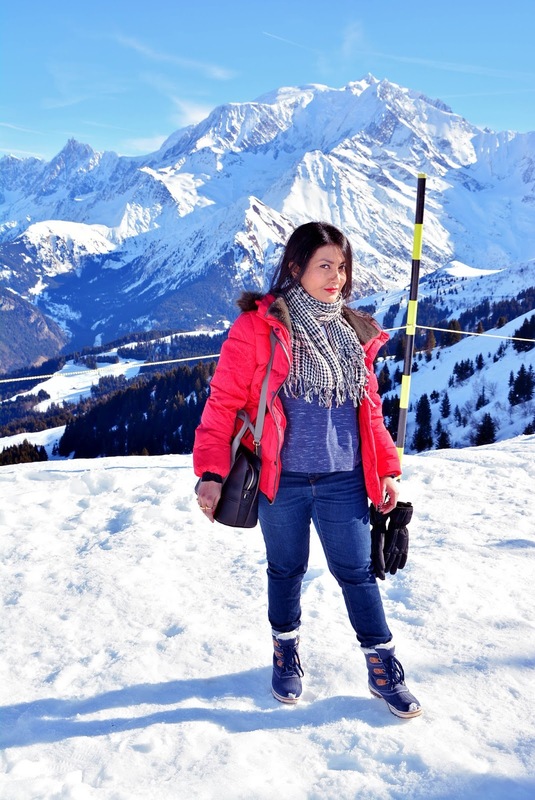 I will mention here that I stayed in Saint Gervais at Hotel Le Regina and I would recommend it to everyone. It is owned by an Australian couple and I must say that they are such lovely people that the hotel will ressemble your home in no time. 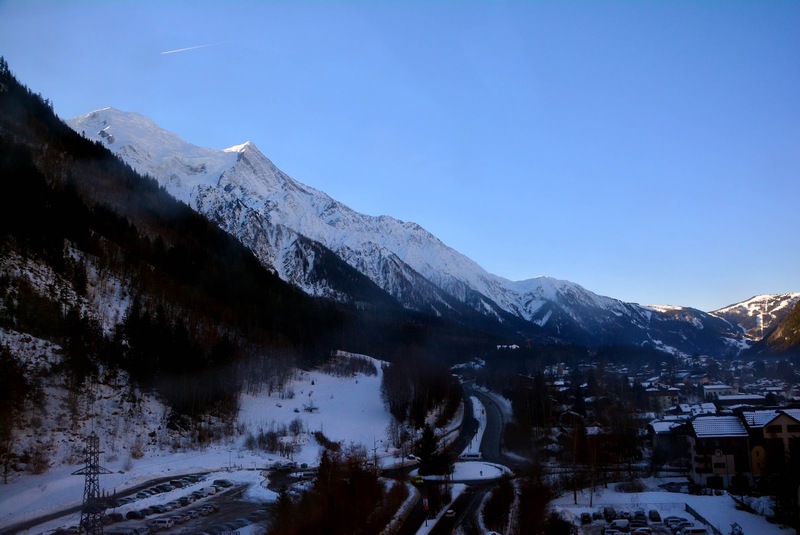 From the hotel you also have a view of the Mont Blanc range. 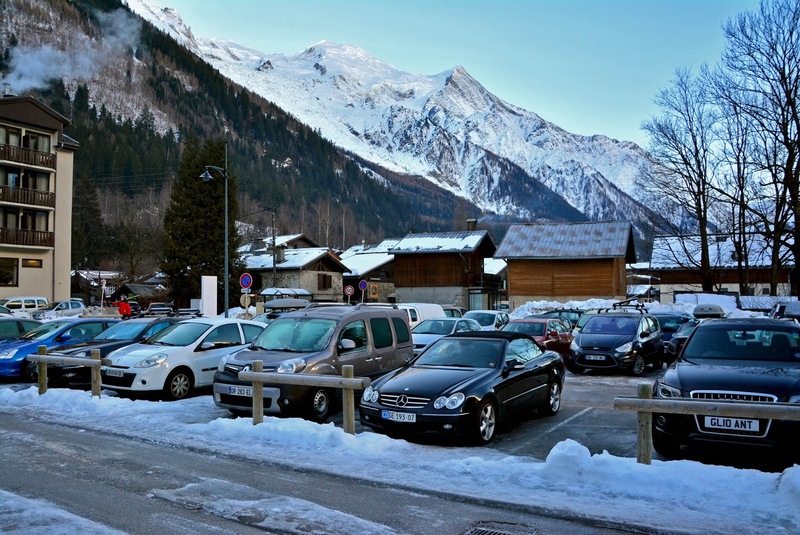 Now lets come to the most popular town around the Mont Blanc, Chamonix. 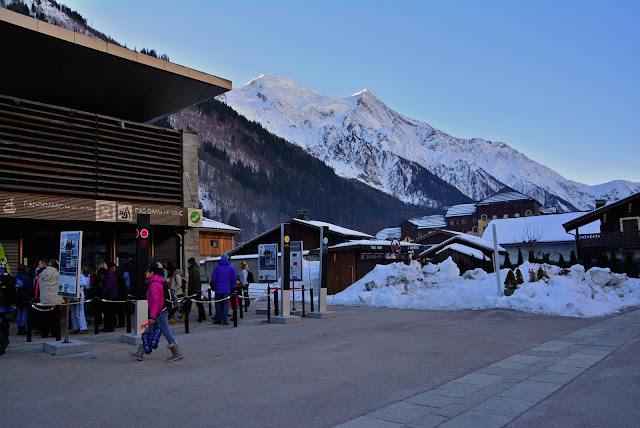 You can get a bus from Saint Gervais center to Chamonix which takes 40 minutes and costs €4. There is also a train from Saint Gervais Le Fayet TGV station to Chamonix. Saint Gervais is to the west of the Mont Blanc peak while Chamonix is to its north. 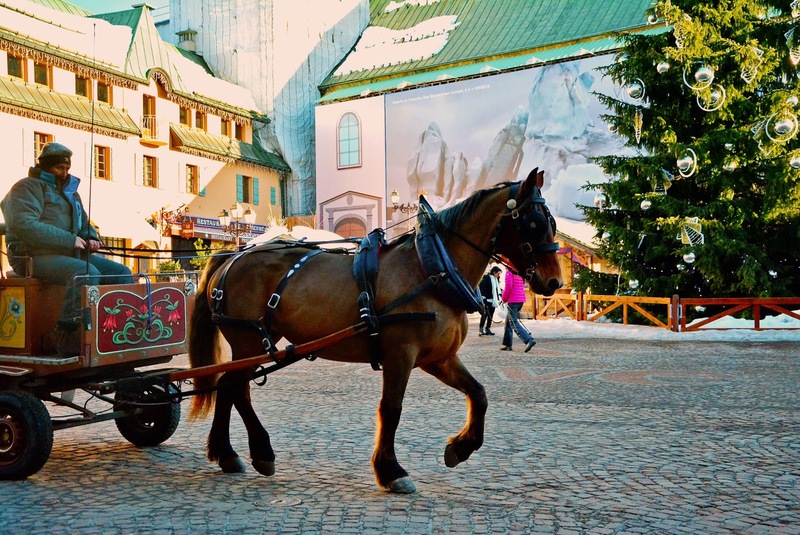 Thus you will have a different face of the range to admire from each of these towns. 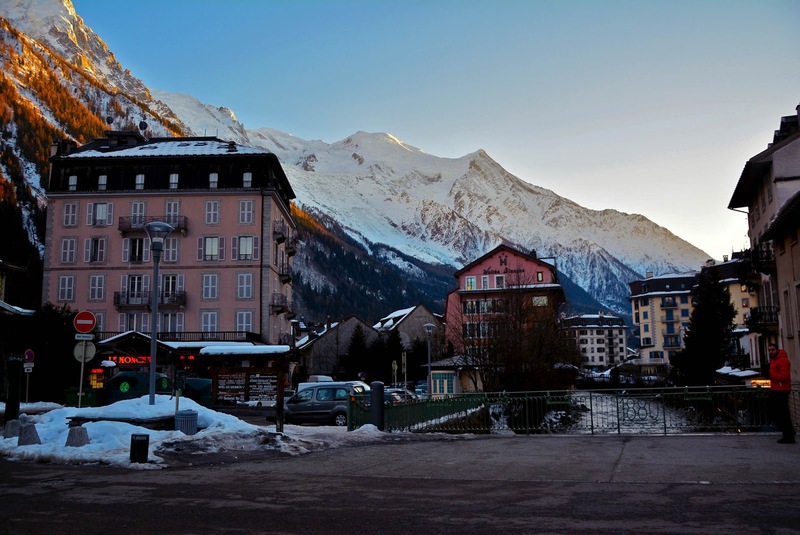 You will have a clear view of the Mont Blanc peak as soon as you get down from the bus in Chamonix. Mont Blanc lies due south from Chamonix. So in winter (December-February) with the sun path tracing a low angle through the southern sky, most of Chamonix remains in the shade of the Mont Blanc range. 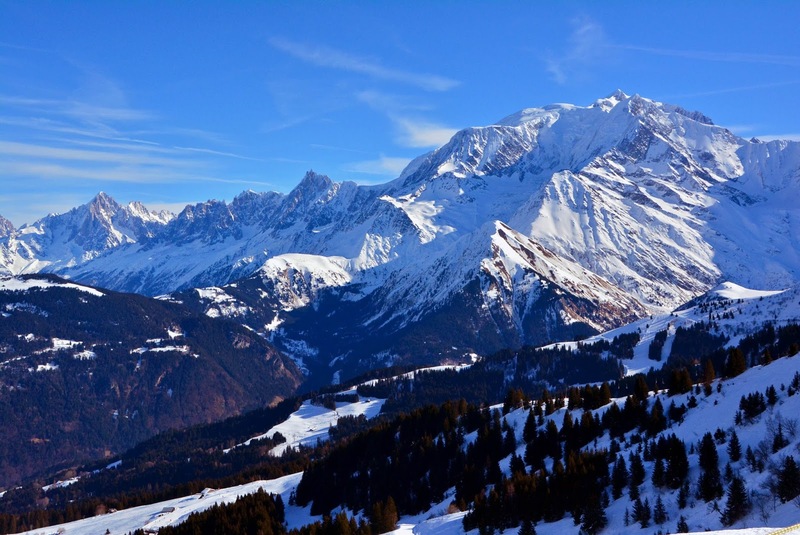 The Mont Blanc peak is the third from the right of the picture. 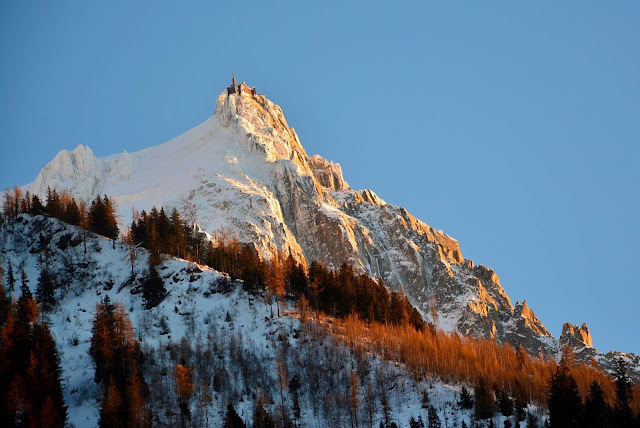 The closest you can get to the Mont Blanc peak (without climbing it) is of course from another peak quite as high and just beside it, the Aiguille du Midi which rises to a height of 3842m. The top of the peak is accessible by a cable car from Chamonix. 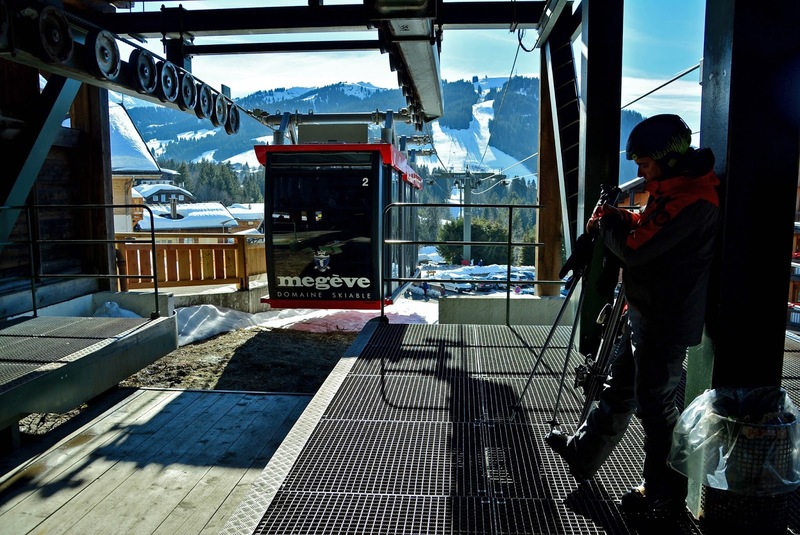 The cable car was started in 1955 and remained the world's highest for two decades. 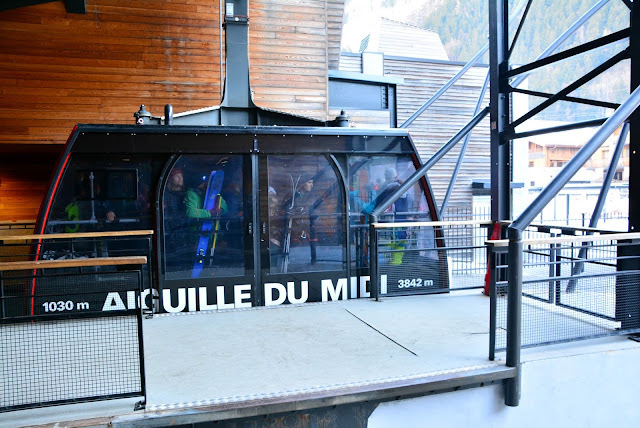 It still is the highest vertical ascent cable car in the world which lifts from 1,035 m to 3842 m in 20 minutes and costs around €60. We bought a day pass for €63 which offered Aiguille du Midi summit and a cog wheel train ride to the glacier of Mont Blanc, the Mer de Glace which I will mention later. 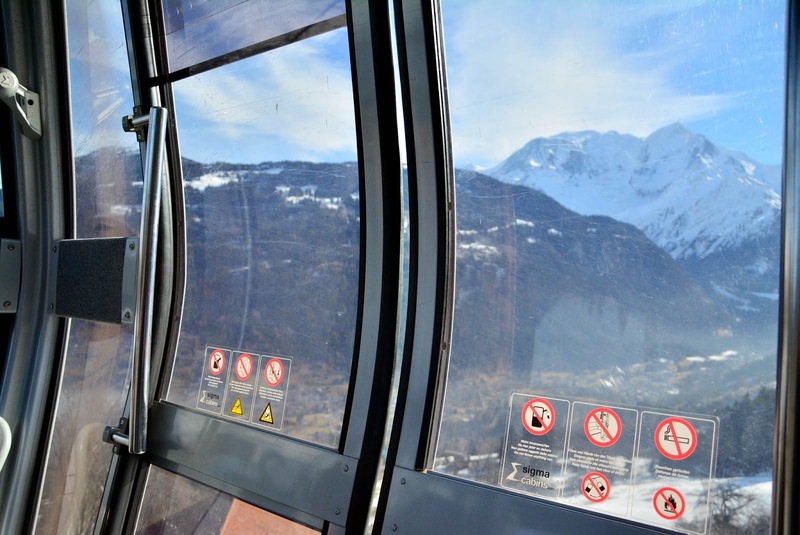 The view of the Mont Blanc range as the cable car gains in altitude is breath taking. 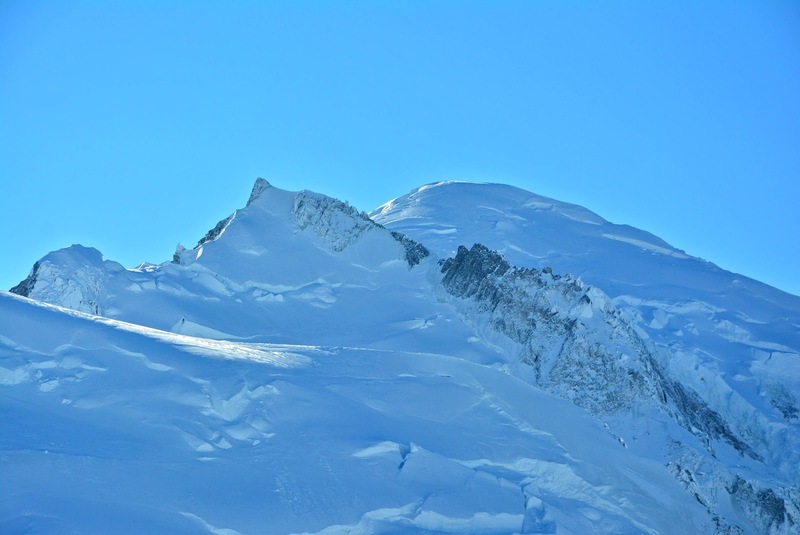 The climb is done in two sections, first from Chamonix to Plan de l'Aiguille at 2,317 m and then directly, without any support pillar, to the upper station at 3,777 m. You can enjoy a view of the summit from the first stop before being lifted to almost 4 km and up close to the Mont Blanc peak. 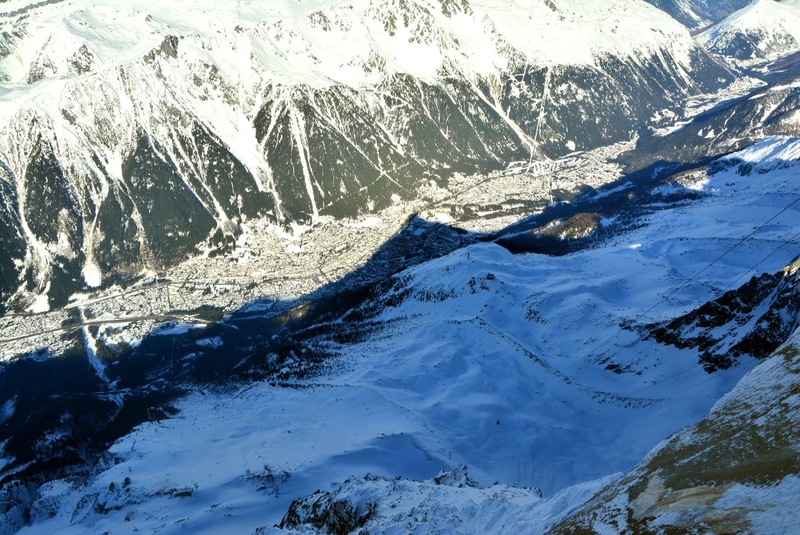 The view down from the top is truly magnificent. 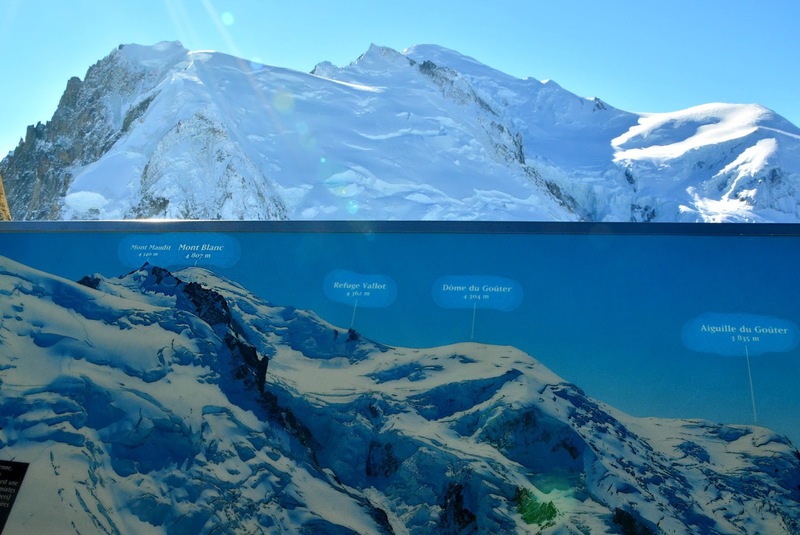 You can see the entire valley around the Mont Blanc range, almost like Google Maps with the towns of Chamonix (right) and Les Houches (left). 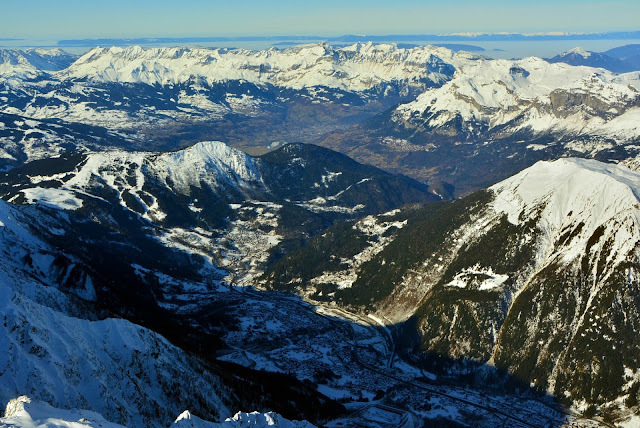 In fact one can clearly see the shadow of the Mont Blanc range on the valley as I mentioned above. 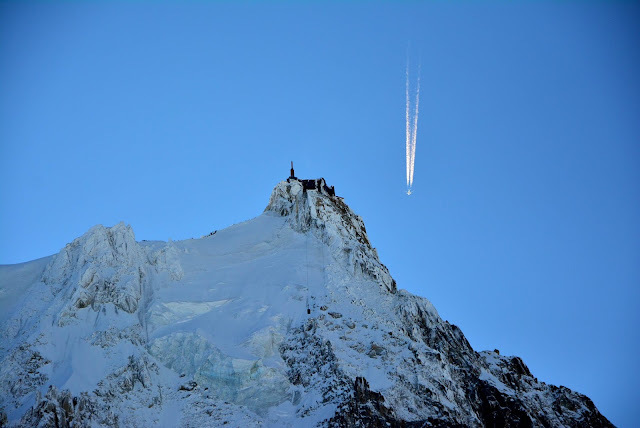 The pointed shadow in the picture below is that of Aiguille du Midi itself. 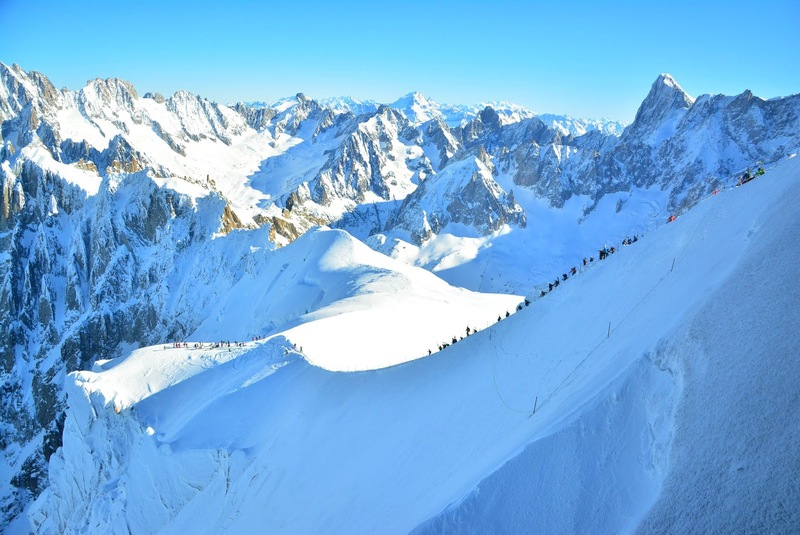 The peak of Aiguille du Midi is also the start point for one of the most thrilling and spectacular ski descents of the world, the Vallée Blanche. It is however hazardous, being off-piste and thus unpatrolled and it descends down one of the glaciers of the Mont Blanc range, the Mer de Glace which I will mention later. The little spots you see in the picture below are the experts that are starting their descent through the Vallée Blanche. 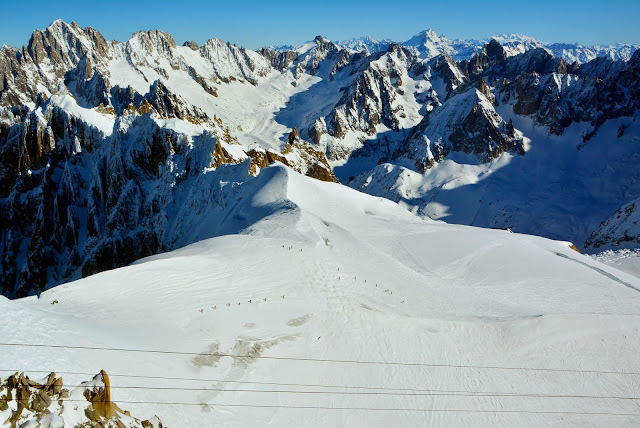 The best part of the Aiguille du Midi cable car is that the white fresh crests and troughs of the Mont Blanc range can be savored by all, even if one does not wish to ski down its glaciers. Now let us come to the star of this mountain range, the peak of Mont Blanc at 4810m. 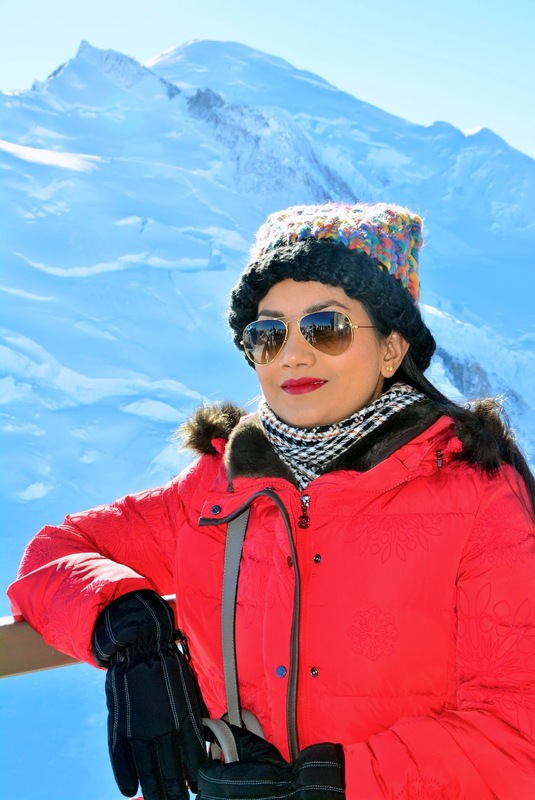 There are multiple observation decks at the top of Aiguille du Midi and from each you will have a different profile of the highest peak of Europe and each seems to be within your hands reach. And while you are there why miss clicking some lovely pictures of yourself with Europe's highest. All right, so for me the second best view of the Mont Blanc peak and the closest you can get to it is from the top of Aiguille du Midi. 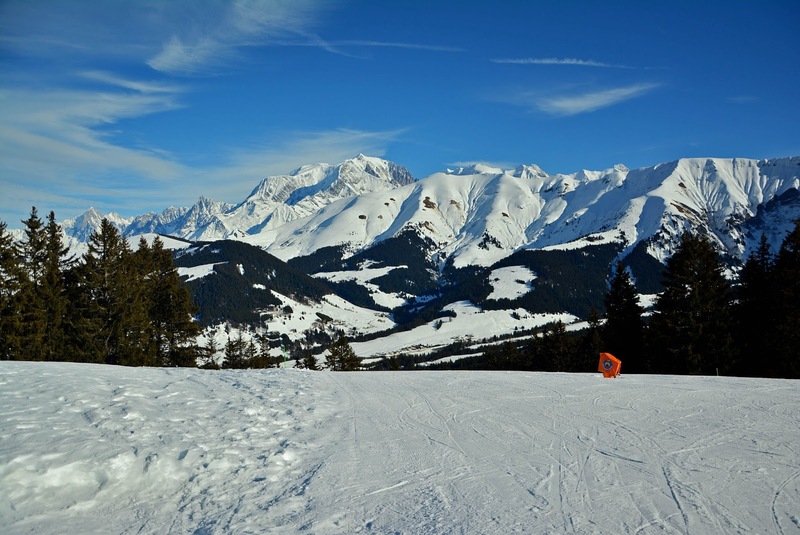 And in case you are still wondering, the peak is the second one from the left in the bottom picture (and of course the highest one in the photo). 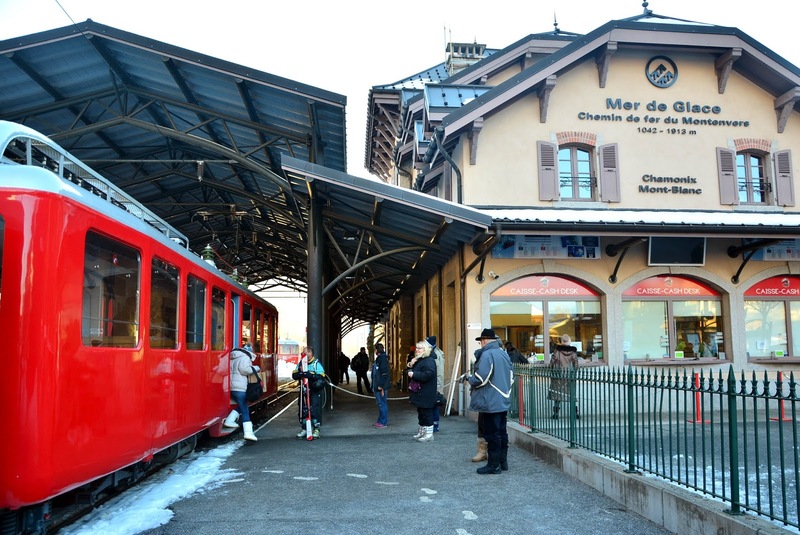 As I said before, our pass also included a cog wheel train ride from Chamonix to Montenvers. 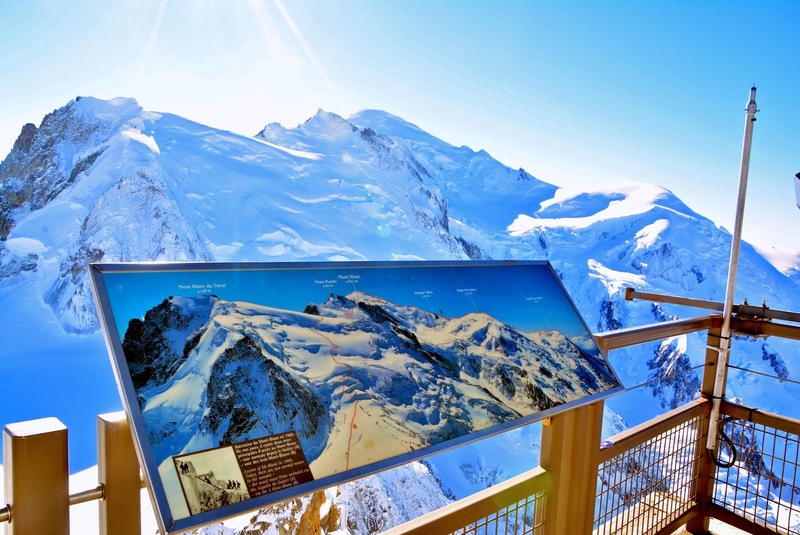 There you can descend to one of the glaciers of Mont Blanc, the Mer de Glace (however you have to walk down and then up 420 stairs. 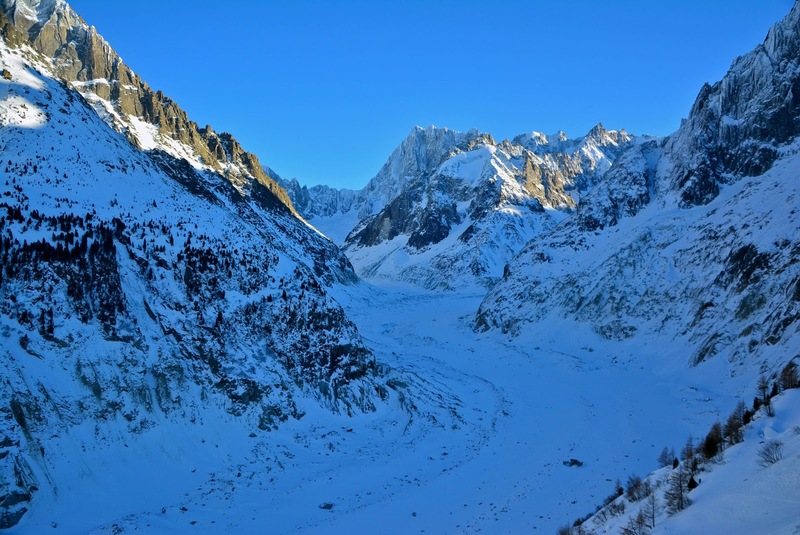 The Mer de Glace is truly beautiful, however it is receding at 6 meters per year which is ecologically very alarming. 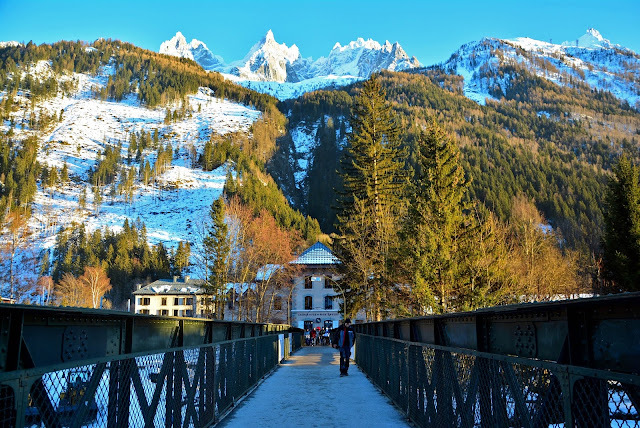 The center of Chamonix at 1035m is serene with quaint chalets and a rough brook the Arve and of course a clear view of the majestic Mont Blanc. And finally in case you still cannot locate the peak of Mont Blanc, in the center of Chamonix you have the iconic statue of Jacques Balmat, the first to climb the summit, pointing towards the peak. 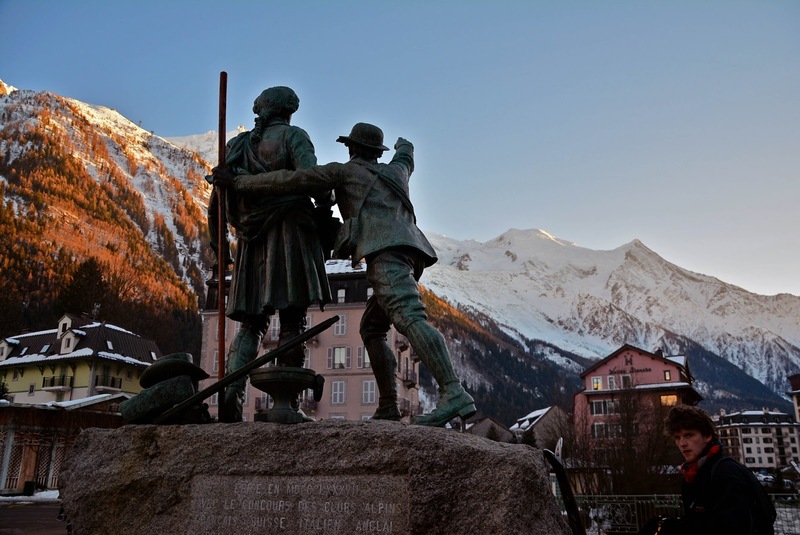 In the statue there is also Horace-Bénédict de Saussure, a Swiss geologist who was known for his research on the Alps, especially Mont Blanc. And then there is the view of Aiguille du Midi and the entire northern face of the Mont Blanc range. 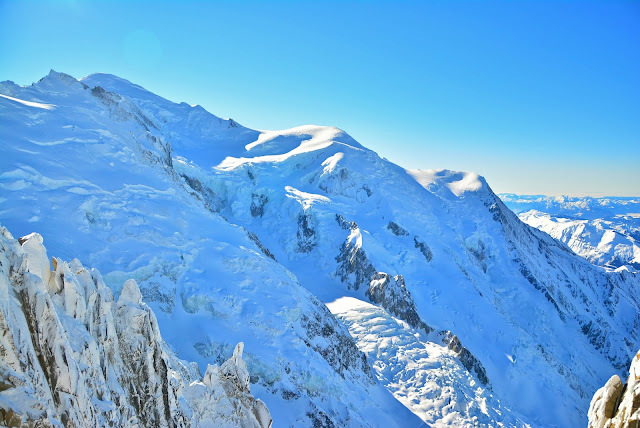 The peaks from left to right : Aiguille du Midi (3842m), Mont Maudit (4465m), Mont Blanc du Tacul (4248m), Mont Blanc (4810m) , Dome du Gouter (4304m) and Aiguille du Gouter (3863m). 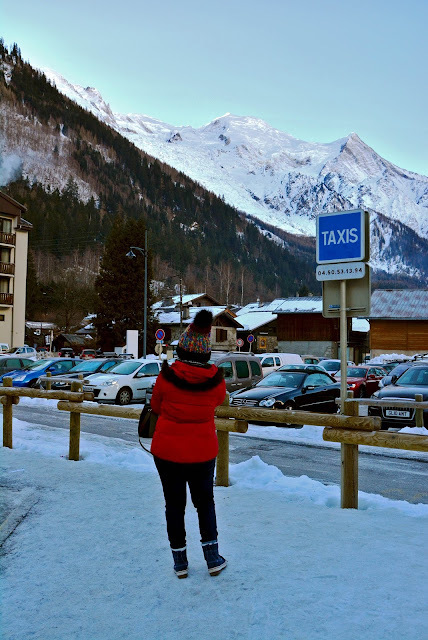 So that was Chamonix, and the second best view of the Mont Blanc range. Here is a map of the peaks and the location of the valley, including the station Montenvers and the glacier Mer de Glace. 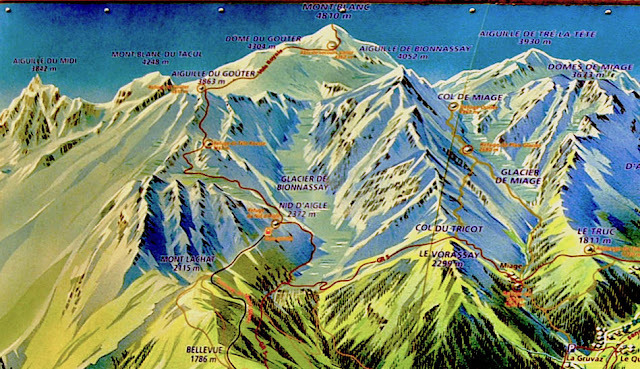 Now you can note the Le Fayet station in the bottom right corner. 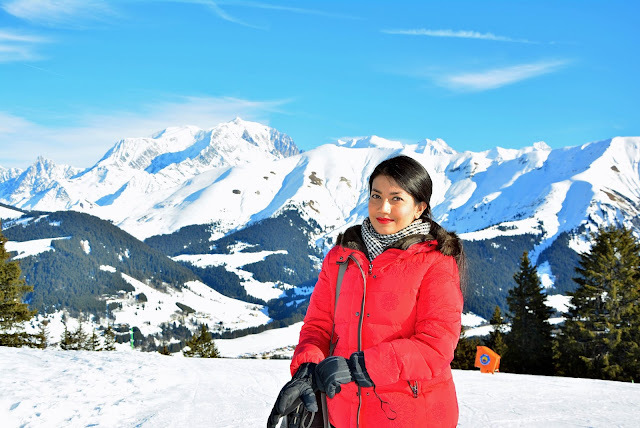 This is a reference which I will use to guide you towards the best view of Europe's highest peak. So let us come back to Saint Gervais les Bains, the town that has Mont Blanc peak officially within its jurisdiction. 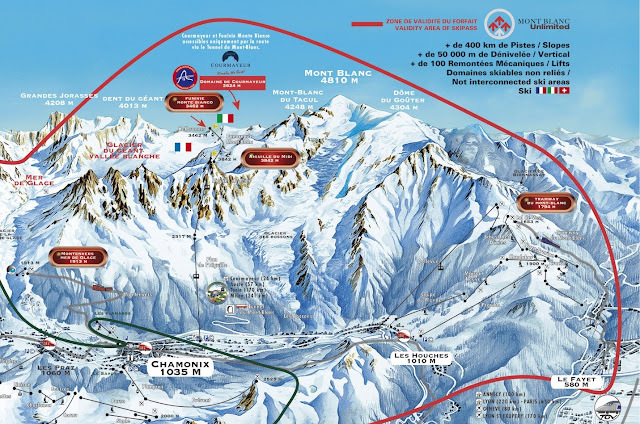 To get an idea of the position of the valleys with respect to Mont Blanc, you can use the above map as a reference and continue towards the right for the map below. (The station Le Fayet can be used as a reference, to the right of the above map, to the left of the bottom map). 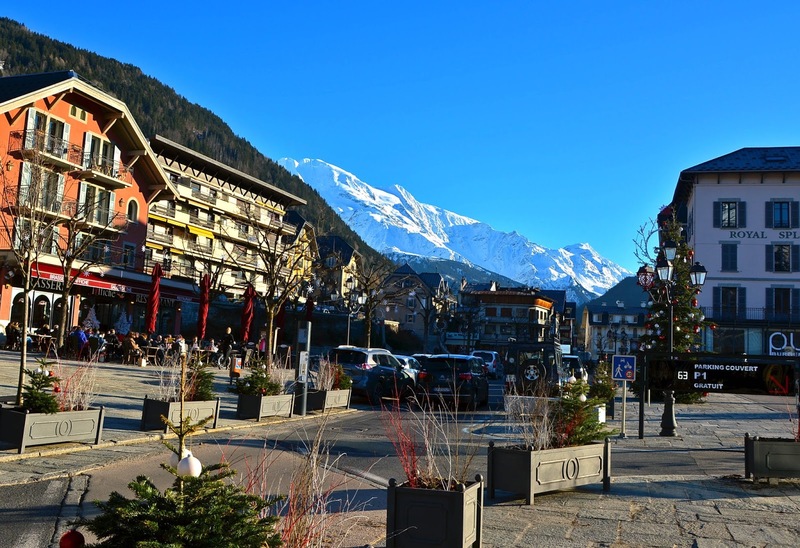 So as I mentioned, we do not have a clear view of the Mont Blanc peak from the town center of Saint Gervais. 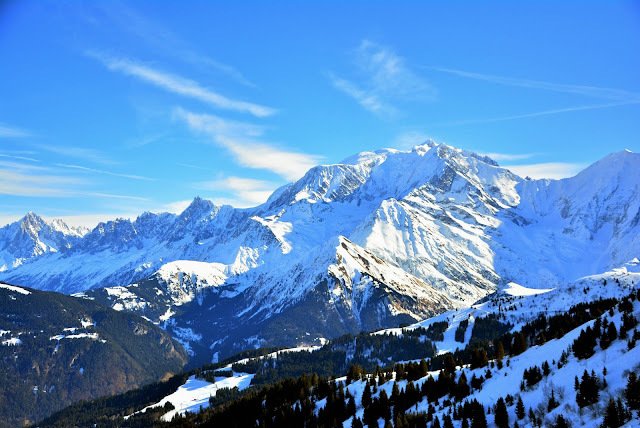 However the town owns other peaks apart from the Mont Blanc, and climbing on the top of one such peak can give a clear view, not only of the Mont Blanc peak but the entire north-western face of the Mont Blanc range. In fact, Saint Gervais is an exquisite ski-station but due to its lack of international popularity, it is rather less crowded. 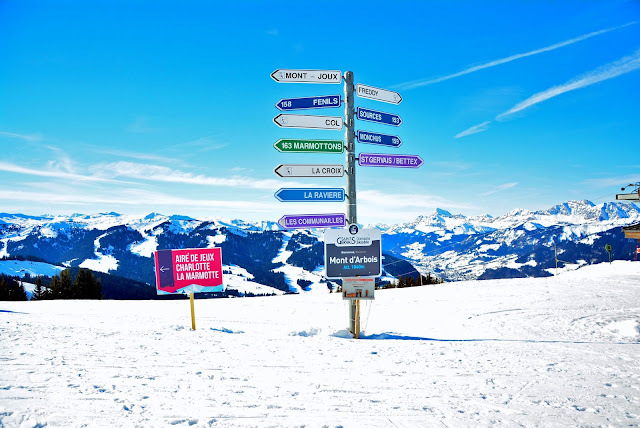 You can take a ski pass in Saint Gervais for about €17 which gives you unlimited access for a day for the different cable cars that take you up to those peaks. 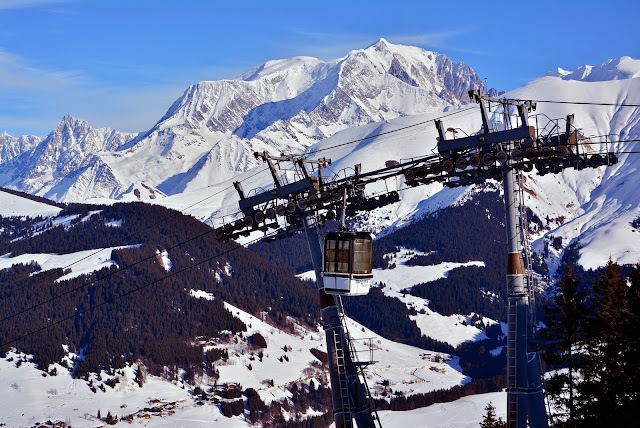 The first peak from Saint Gervais is Le Bettex (1400m) (see the above map) and as soon as you leave the ground of the town, the Mont Blanc range with its highest peak appears to the left. The view from Le Bettex is wonderful but there are higher peaks to climb and with our Ski pass, the day soon turned into a hop-in hop-off cable car rides and peak hopping. 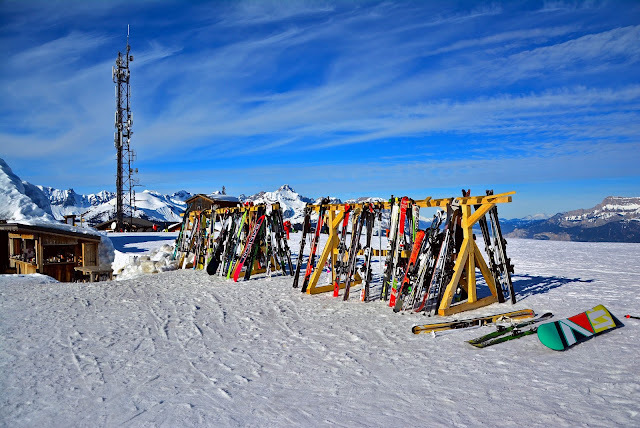 Above Le Bettex is the peak of Mont d'Arbois at 1824m and this is from where you can experience an uninterrupted view of the entire Mont Blanc range. With such a view, you can hardly take or eyes off and we remained stunned for at least half an hour. Mitra was however busy taking pictures as usual. 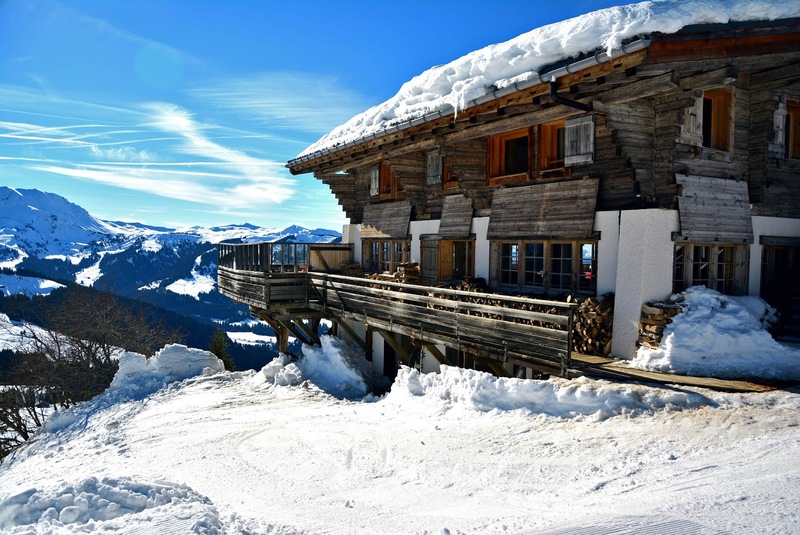 Apart from the Mont Blanc range, you also have some spectacular panoramic views of the other Alpine peaks and the towns engulfed by the clouds. Once on Mont d'Arbois you can decide yourself which direction to go to surprise yourself with magical views. We decided to go to the town of Megève and thus take a cable car from Mont d'Arbois down to it. 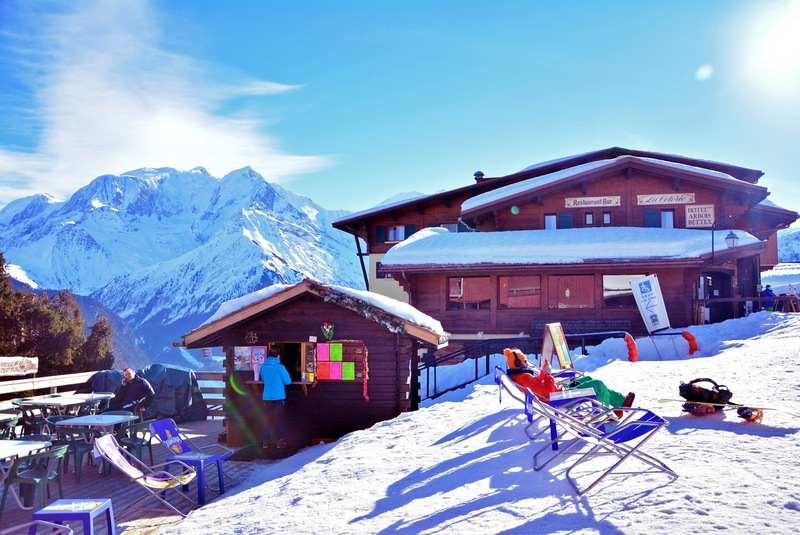 But before reaching the cable car we had a hike of about a kilometer on thick powdered snow with the Mont Blanc range on our right and some lovely chalets bordering the cliffs. And it is during this hike that we had the best panoramic view of the entire Mont Blanc range with the highest peak of 4810m. Try to use the above maps and name each peak in the picture below. 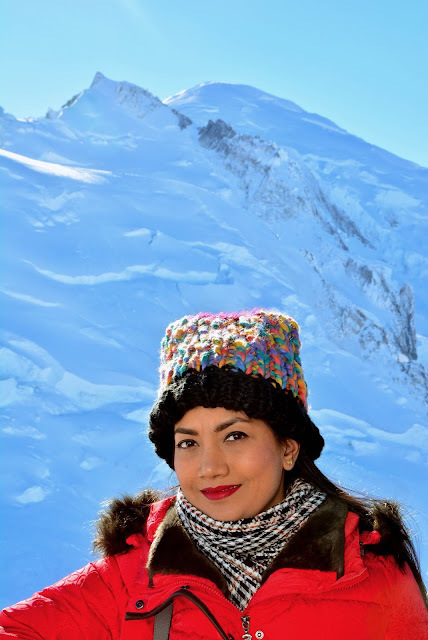 Of course the center dome is the Mont Blanc with its peak (4810m) being also the highest in the picture. To its left is the Dome du Gouter (4304m) and Aiguille du Gouter (3863m). 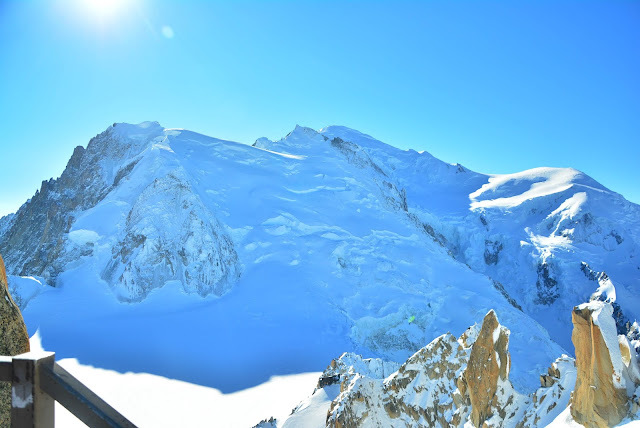 To the left of the Dome du Gouter we have Mont Blanc du Tacul (4248) peeping out and further left is the Aiguille du Midi (3842m) which we climbed in the first part of this post. Just to the right of the Mont Blanc peak is the Aiguille de Bionnassay and the gorge that leads down from Mont Blanc peak is in fact another glacier of the Mont Blanc range, the Glacier de Bionnassay. To its right is the Domes de Miage (3623m) and this is the peak clearly visible from the town center of Saint Gervais. 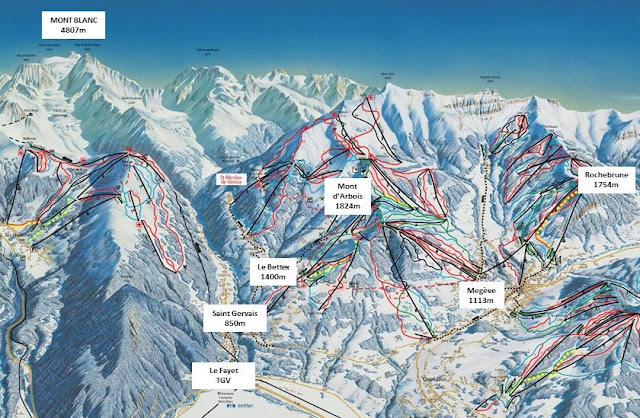 Below is a map that can be found on the top of Mont d'Arbois. 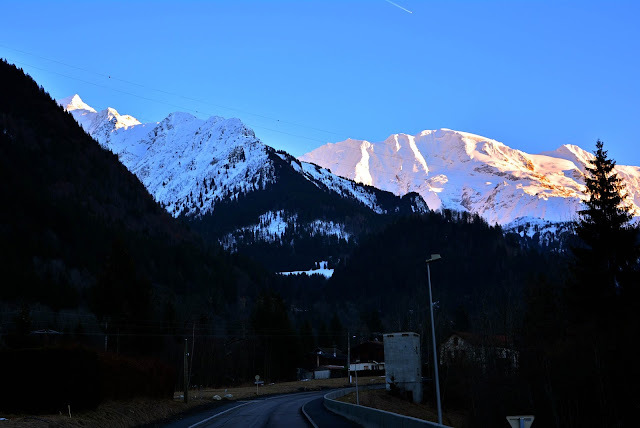 In it you can also see the path used by climbers to reach the top of Mont Blanc and it starts from the town of Saint Gervais. 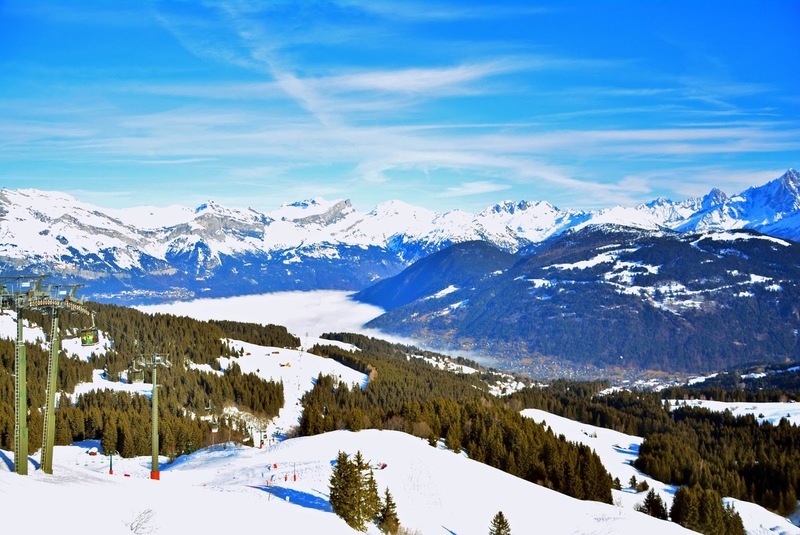 You must not forget that Mont d'Arbois is a part of the ski station of Saint Gervais and has some of the best and most spectacular tracks of the French Alps. We also tried another peak of the region, owing to our day-pass of cable cars. 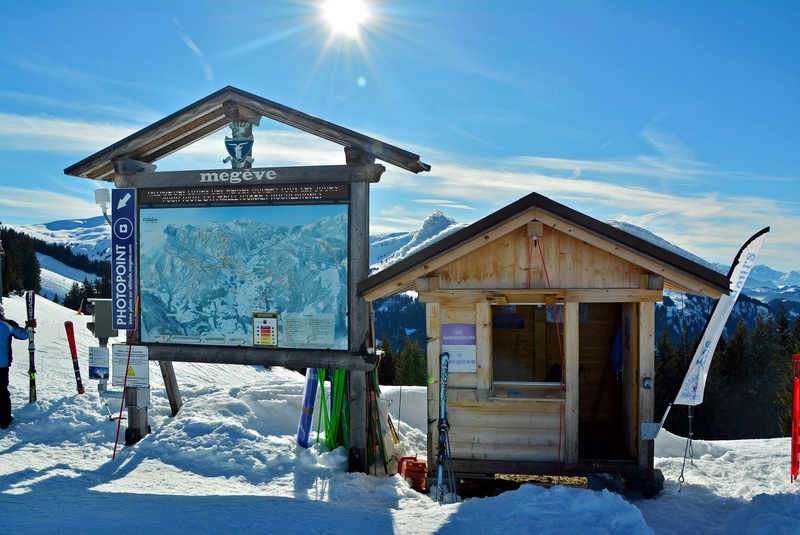 This time it was Rochebrune (1754m) which is above the town of Megeve. You can see it in the map above. 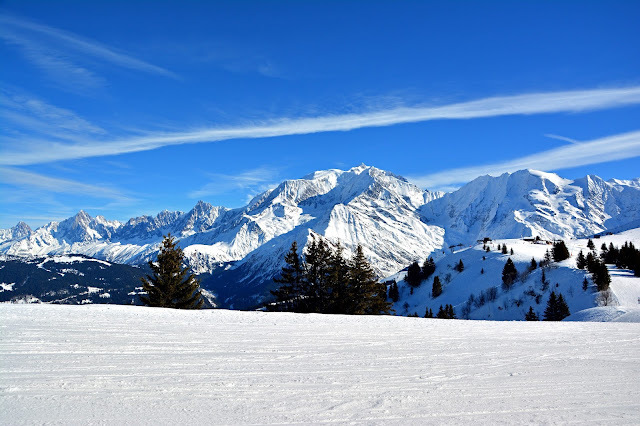 You also have a clear view of the Mont Blanc range but I must say it is not as magnificent as that from Mont d'Arbois, the range being much further away. 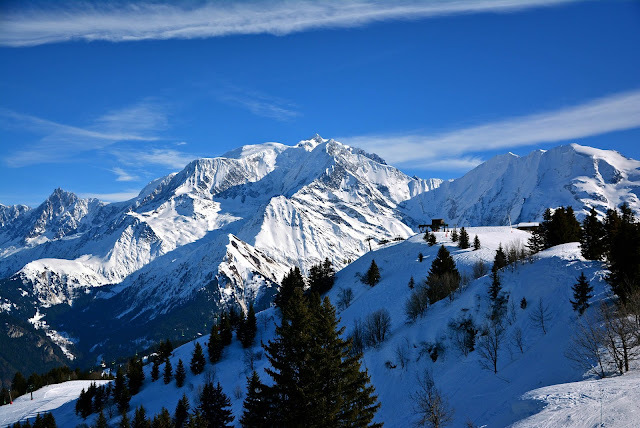 However you get to see a larger portion of the Mont Blanc peak from here while from Mont d'Arbois it is somewhat shadowed by the Aiguille du Bionnassay. 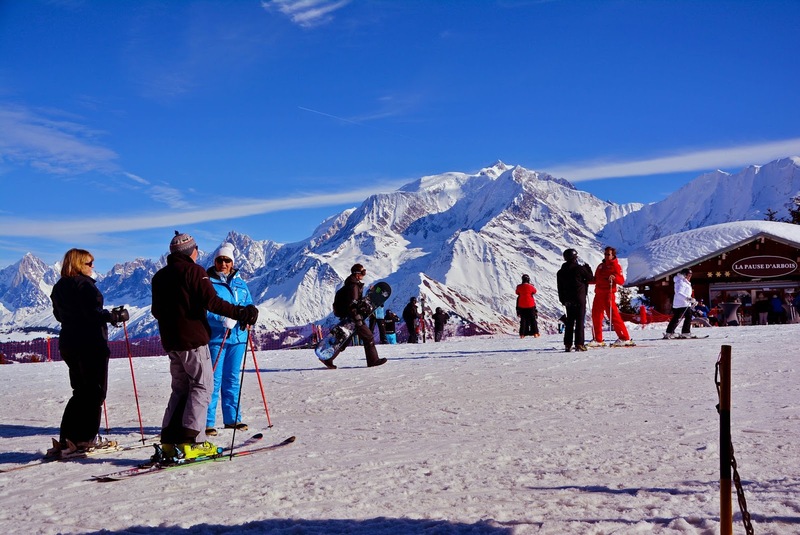 And when you have the ski pass, you should make the maximum of it and try out as many peaks as possible and thus multiple rides in the little cable cars with the backdrop of the Mont Blanc range. 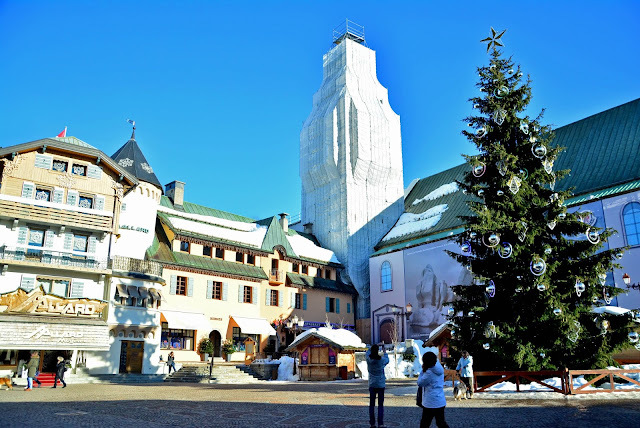 The town of Megeve is worth a visit and it is considered as one of the most posh French towns of the Alps. Built by the family Rothschild in 1920 as a luxury resort town, Megève is the first purpose-built resort in the Alps. It is also the town in the movie Charade where Audrey Hepburn's character meets Cary Grant's character. 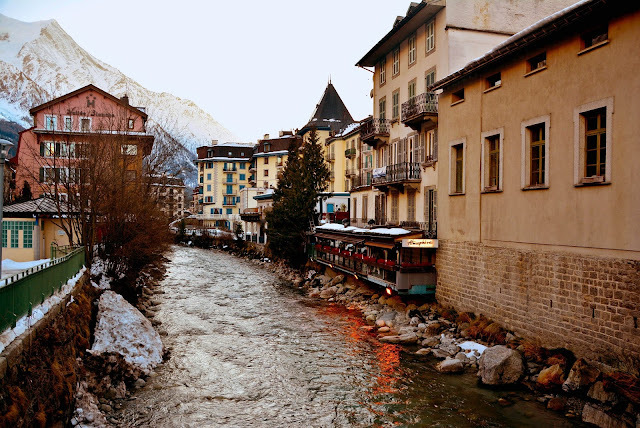 It has been the haunt of celebrities and the Parisian aristocracy was so frequent here that Jean Cocteau once called Megève the 21st arrondissement of Paris. 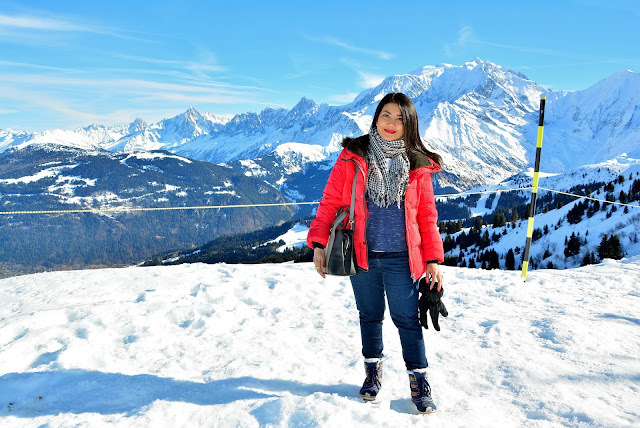 Having listed out the details about the best places to have a awe inspiring view of Europes highest peak and the range, I will conclude with a panoramic view of the Mont Blanc range from Mont d'Arbois. 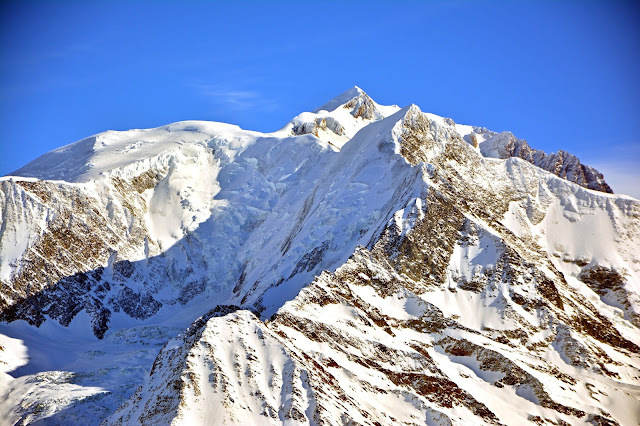 I am sure by now you can name and identify each peak of this majestic range.